With over 50 years experience in creating highly innovative products, Nautel has earned an international reputation as a world leader in the design, manufacture, sales and support of high power, solid state RF products for AM and FM broadcast, navigation, industrial applications. 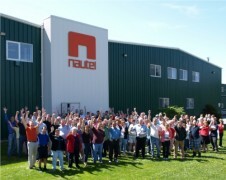 More than 16,000 customers in 177 countries rely on Nautel’s RF solutions – systems that meet stringent quality standards at our ISO 9001 registered manufacturing facilities in Canada and U.S.A., and perform in harsh climates ranging from arctic, to desert, to jungle. In summary, Nautel is big enough to offer cutting-edge technology, but small enough to respond to specific customer’s needs. Understanding customers’ requirements allows Nautel to design products that suit the exact specifications of each customer.